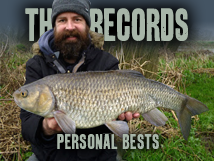 Pike Blog: Too Cold For Barbel! It's too cold for barbel, so I didn't bother to go fishing. But finishing work just before 3pm I decided to walk down and see how Darren was getting on. Seems I was right, not a knock all afternoon. Still it was nice to be on the frosty river and we chatted away until packing up time as it was getting dark. Then his rod slammed over, great stuff! At least I could do some net duty... Ah, he forgot the net... At least I could get muddy, wet and slimy handing it out... Love it! 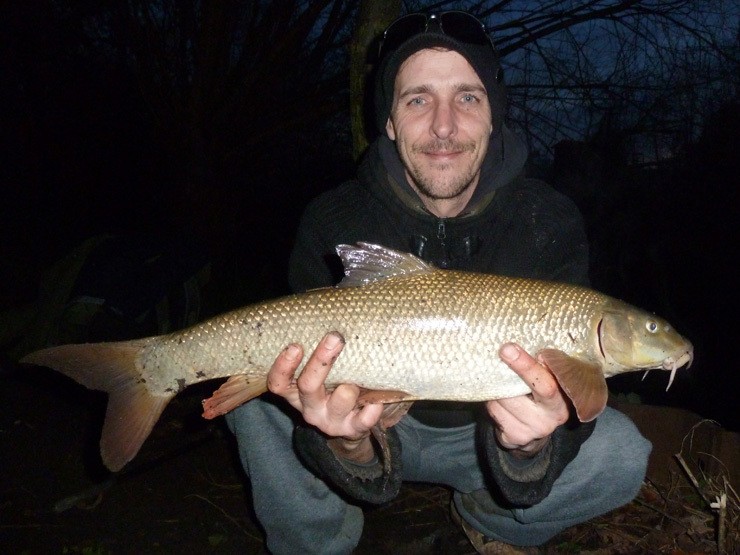 And a 6lb 0oz barbel on a proper winter's day. Nice one Darren, I'm glad you proved me wrong! Billy Bob and Jethro decide to go ice fishing. After arriving at the lake early in the morning, they cut two holes in the lake and drop in their lines in the water. After fishing for a few hours, Billy Bob has caught dozens of fish while Jethro hasn't even gotten a bite. Jethro asks, "Billy Bob, what's your secret?" Billy Bob answers, "Mmu motta meep da mmrms mmrm." Jethro asks, "What did you say?" Billy Bob answers, "Mmu motta meep da mmrms mmrm." Jethro again asks, "What?" Billy Bob spits into his hand and says, "You gotta keep the worms warm!"